Excerpt: "When I tell friends at home in Canada abut the things I have seen, they often say, 'It must be so depressing!' But my work has never felt depressing. Doctors Without Borders is an organization built to act, to make things better. Together with other volunteers and the support of millions of people around the world, we don_t have to sit by helplessly and see a disaster unfold before us, wondering what on earth we can do. The gift of action is ours." When children are caught in civil wars, when earthquakes destroy homes and villages, when AIDS and other diseases shatter families and communities - the volunteers of Doctors Without Borders are there. Their mission is simple - to bring life-saving care to the world's neediest people and to speak out when the rights of the people in their care are abused or violated. M�decins Sans Fronti�res, known in English as Doctors Without Borders and by its volunteers as MSF, is the world_s largest independent medical humanitarian relief organization. Every year, more than 3,000 MSF volunteers and 12,000 local men and women bring medical aid to people in more than 70 countries. 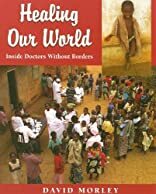 In Healing Our World, David Morley presents his own story and the stories of other MSFers who have volunteered in some of the most dangerous and forgotten corners of the world - the Congo, El Salvador, Chechnya, Bangladesh, Mozambique, Afghanistan, southern Africa. These are stories about healing and helping people, about making the world a better place - stories filled with sorrow and hope, anger and idealism, determination and passion. The words and experiences - good and bad - of MSF volunteers who come from all over the world and every walk of life. Information about MSF's history, how it selects its volunteers and decides where to send them. Includes photographs from the field. About David Morley (Author) : David Morley is a published author of young adult books. 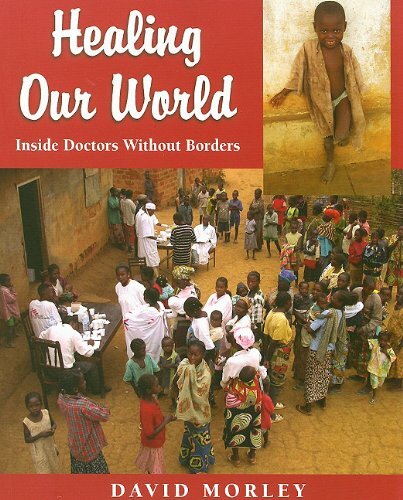 Published credits of David Morley include Healing Our World: Inside Doctors Without Borders.